I need to stock up on my stash of granola bars. Yes, I am running low and now I have a sudden craving for some chocolate granola bars. I just need to have my fix for something decadently healthy and after searching through my pantry, I realized that I have pretty much all the ingredients I need to make my own bars from scratch. Yes! 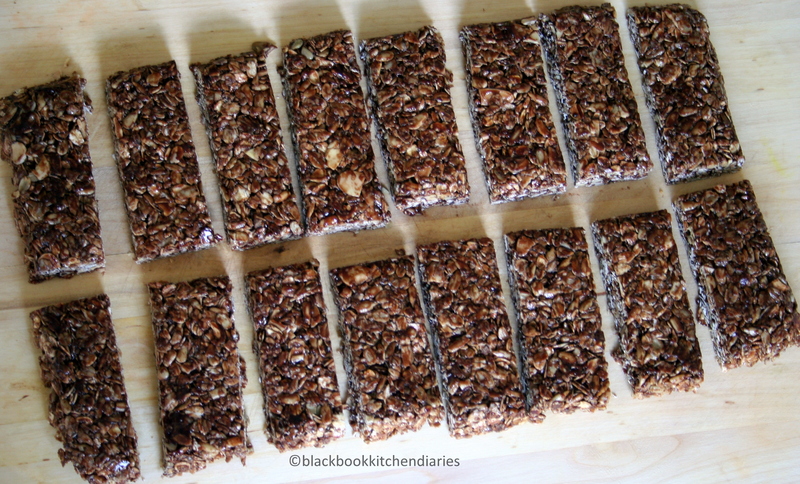 These chocolate granola bars are so good and can be very addictive. You can pretty much add anything you want to this mix. I normally make my granola bars with a variety of dried fruits and nuts and that is delicious as is. But since I am on my chocolate high, I decided to infuse the granola with some vanilla bean and some natural dutch cocoa powder to it. This makes a great snack anytime and perfect for your breakfast-on-the-go. Mix together the oats, wheat germ, sunflower seeds and almonds in a sheet pan. Toast them in a preheated oven for 10 minutes on a 400 degree F oven or until nice and toasted. Let cool in a large bowl and set aside. Line a 7×11 inch baking dish with a non stick baking paper or use a cooking spray. Heat the brown sugar, cocoa powder, honey, butter, vanilla, and salt into a saucepan and bring to a simmer or until the sugar is melted. Then add this to the oat mixture. You want to toss everything together till it is nicely incorporated. Place the mixture on to you prepared baking dish. Press and pack down your granola so it will be nice and compact. This will prevent your bars from crumbling. Let the bars set for 3 hours on the baking dish. Then place the granola onto a cutting board and cut it to whatever size you like. Omg, I cannot wait to try this! I have been wanting to try homemade granola bars for ever…but chocolate granola bars? This cannot wait much longer for! Thanks for the sweet comment on my site! These look great. 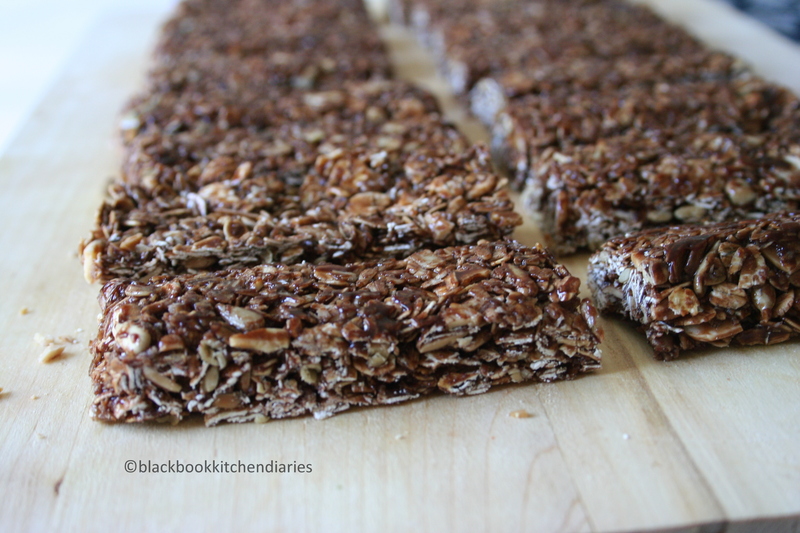 Next time I make granola bars these are the ones I’m making.